Do I pay any fees to register with Jomsom Staffing Services? Do I have to accept every assignment? No. We work with you until we find you the best match. It varies from client to client. Some assignments can last a few weeks to a few months to years! Others can turn into a permanent position. Some others may start off with being permanent only. Please ensure that before you accept an assignment, you are available for the full length of the assignment. If you forget your username and/or password, click 'Forgot Username/Password' under the My Account login page. You will be asked to enter your email address. An email with a link to reset your password will be mailed to that address automatically. How do I register as a candidate with Jomsom Staffing Services? Go to the Job Seekers homepage and click on My Account. Create a username and a unique password and fill out our questionnaire to help us determine your experience and job search needs. You will also be asked to upload your resume which will be saved to your account and in our Job Seeker database. How do I find a local office? 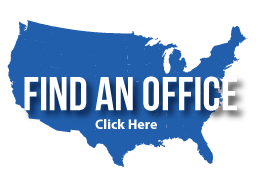 You can find a local office by clicking on Find an Office. During the registration process, you will be asked to upload your resume. If you have already registered without uploading a resume, you can do so by logging in and clicking on the ‘Upload Resume’ button. How do I register to receive Job Alerts? You can sign up for Job Alerts during the registration process or click on Subscribe to Job Alerts and register there. Am I eligible for benefits through Jomsom Staffing Services? You may be eligible for benefits. Please contact your local Jomsom Staffing office for further details. For any additional questions or queries, please go to our Contact Us page.